Save Thousands! Pay a FLAT FEE Listing Commission! SELLING - SEE HOW MUCH YOU CAN SAVE! Move the house icon to calculate your home savings. A typical listing fee is considered to be at 3%. Meet your DIY Real Estate Agent and receive your Sellers Informative Packet. Your DIY Agent will perform a walk-through, take professional property photos, install the lockbox and signage, and of course, answer any questions you may have. Your DIY agent will list your property on MLS and all major real estate websites. Now all you have to do is respond to phone calls or texts from a potential buyer's agent to set a showing appointment that works for you. You may decide to show your property yourself or choose to not be present and allow the walk-through to take place with a representing agent. Whichever you decide, be sure to clearly communicate your choice when setting up the showing appointment. There are many things you can do to make your home warm and welcoming for the potential buyer. Please refer to SELLING 101 on our Resources Page for tips on howto declutter and stage your home. How exciting potential buyers will be arriving today! Please see the OPEN HOUSE CHECKLIST on our Resources Page to help guide you through the process for a successful showing. Once an offer comes in, your DIY Agent and or Transaction coordinator will notify you immediately for your review. After you receive and review the offer, you will work with your DIY Agent on the details. Once you have accepted the offer, you will be required to be present for all inspections. All appointments will be arranged between you and the buyer's agent. You should expect to receive phone calls from the buyer's agent. If either of these inspections are requested and/or required, you DIY Agent will coordinate the appointment with you. Once all required inspections are completed and documents are signed by the buyer, you are ready to close the deal. It's Time to Celebrate ... You just sold your property! CONGRATULATIONS! You did it yourself, but not by yourself for only $1,999. You should feel fantastic knowing you saved $1,000's by being part of the DIY Real Estate NOW! Family. Your DIY Agent will be in contact with you one last time to remove the signage, lockbox and provide celebratory high fives. Is it really that easy to sell ? Do I meet with a DIY Agent? How can you afford not to charge? Do I do my own Open House? Is it really that easy to sell my home with DIY Real Estate NOW! ? Give us a call or send us a note through our Contact Us page, and we will get the process moving. We understand that selling you most valuable asset can be an intense and even intimidating experience. That is why we want you to know DIY Real Estate NOW! will be with you every step of the way. Do I get to meet with a DIY Agent? With us, Do-it-Yourself does not mean by yourself. 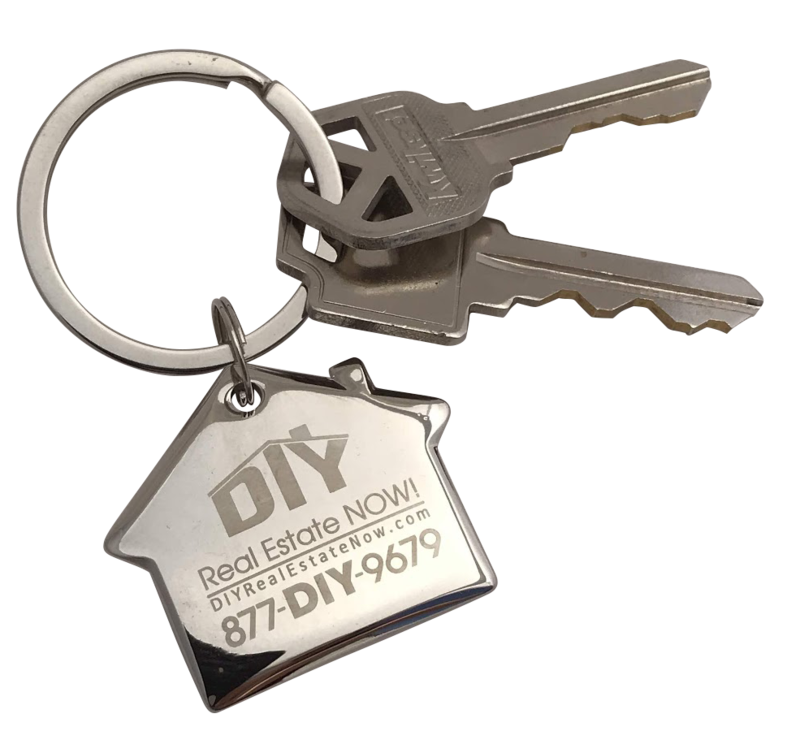 One of our professional DIY Agents will meet with you at your home, deliver your signage, install your lockbox, give you your DIY information packet, and answer any of your questions. We will also schedule a time to take beautiful pictures of your home that we will feature on our website and additionally upload to the Multiple Listing Service (MLS) and all major real estate websites. How can you afford to not charge a commission? Many of the tasks agents used to do manually, spending precious time "running around", we has been streamlined by leveraging technology. Time is money. We have many ways we cut costs without sacrificing quality. We simply translate these cost-savings to you! Are there any hidden charges I need to be aware of? There are absolutely no hidden costs or extra charges. There are no gimmicks, just real savings for you! We have revolutionized the real estate industry to empower you to be completely involved in the process. By harnessing your DIY spirit and combining it with our 30+ years of real estate knowledge, you can keep your hard-earned money. Do I have to do my own Open House? We will provide you with great information on how to do a successful Open House, including marketing material and Open House signs. When you think about it, who would be better than you to tell the story of your home? We are right here waiting to help you. Don't let our name throw you. At DIY Real Estate NOW! -- Do-it-Yourself does not mean by yourself! You are assigned a DIY Agent and Transaction Coordinator. They are always on-call to help you at any point in the process. From time to time we like to share amazing and unique real estate opportunities with our readers, along with helpful information. Sign up here if you would like us to pass these on to you via email. Our eNewsletters are completely free and you can cancel at any time.